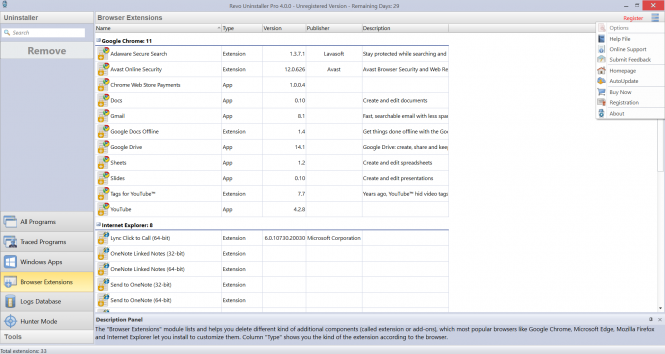 Revo Uninstaller Pro 4 - download in one click. Virus free. 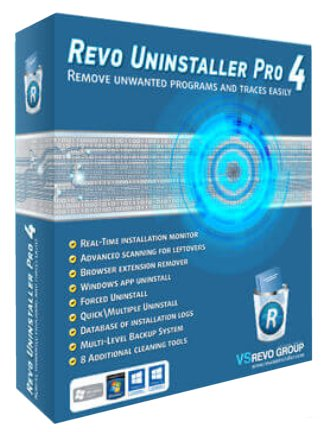 by VS Revo Group Ltd.
Download the latest version of Revo Uninstaller Pro 4 with just one click, without registration. It is a standalone setup package that contains the full offline installer for Revo Uninstaller Pro. 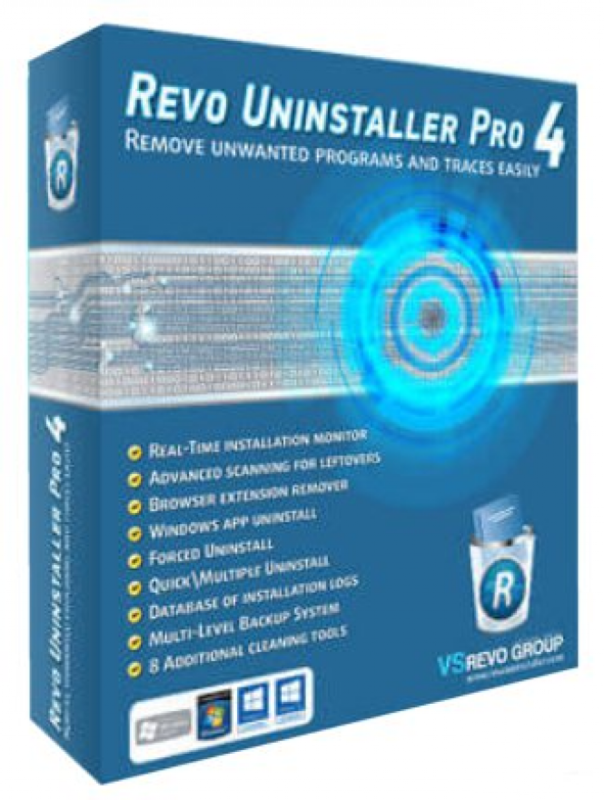 Revo Uninstaller Pro 4 is an upgraded version of a powerful uninstaller that removes unnecessary and unwanted programs, their traces in the system registry, temporary and junk files from your PC. It optimizes your device, frees up hard disk space, and can improve overall system performance. The latest version of the program also has a number of additional cleaning features: Junk Files Cleaner, Windows Tools, Autorun Manager, History Cleaner, Evidence Remover, and Unrecoverable Delete. Junk Files Cleaner, as the name suggests, finds and permanently delete unnecessary files that were created by other programs and remained on your hard disk due to crash or unexpected termination of the program. Windows Tools give you an easy access to useful options of Windows system: you don't have to fumble with the settings and command line to get to the needed utility. You can use such built-in Windows utilities, as System Restore, Disk Defragmented, On-Screen Keyboard, Task Scheduler, Shared Folders, Backup and Restore and a dozen more. The next new tool, AutoRun Manager, manages programs which load at the same time when the system boots up. They can slow down the startup and be quite annoying, and Revo Uninstaller Pro provides all the needed information about them: publisher, description, launch path. 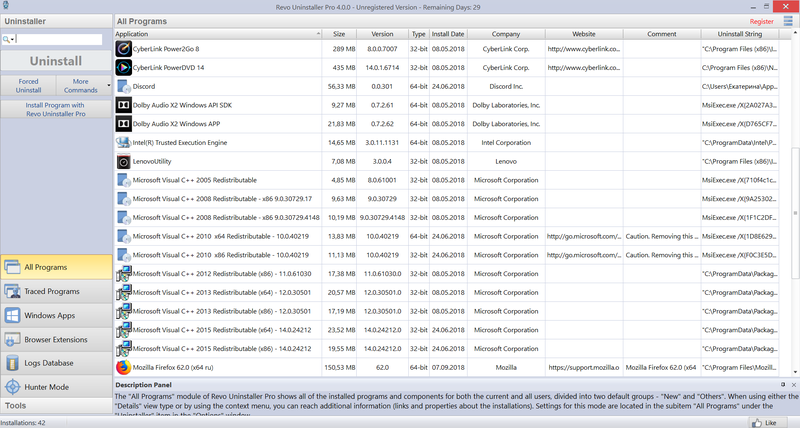 You can delete these programs from the autorun list or get rid of them altogether. History Cleaner is a tool that deletes data from your online browsing history (clears visited pages, deletes cookies, cleans cache) and clears lists of recently used files in Windows and Microsoft Office. It will also empty your Recycle Bin and delete all temporary files. Finally, Evidence Remover and Unrecoverable Delete are the tools to delete any sensitive or confidential data on your computer with no chance of recovery. The first one rewrites already deleted files so they can not be recovered, the second one does the same with existing files. The upgraded Revo Uninstaller Pro 4 has more new options than these. It also works now with Windows Apps, managing and deleting them, supports deleting multiple programs at once, has upgraded backup options and manages extensive installation logs. So check out this free download and see how faster and cleaner your computer can be. Developer: VS Revo Group Ltd.